Since glass was first used to make windows for all types of buildings during the Renaissance, the only significant improvement to occur until recently, in a technical sense, was double glazing. And while that took place in the mid 1800’s, it didn’t actually become popular until well into the mid 1900’s. 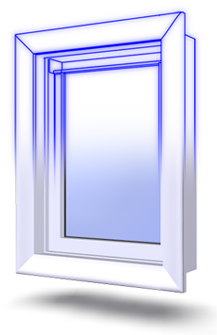 However the energy crisis, sparked by the oil embargo of the mid 1970’s, replaced complacency with scientific research and development on ways to improve window technology. In the last 25 years, and in particular during the last decade, we have made remarkable progress toward making windows more energy efficient.